With tufted black ears, the caracal resembles a caramel-colored cousin of the Canada lynx. This coloring allows the cat to disappear into the tall grass of its habitat. 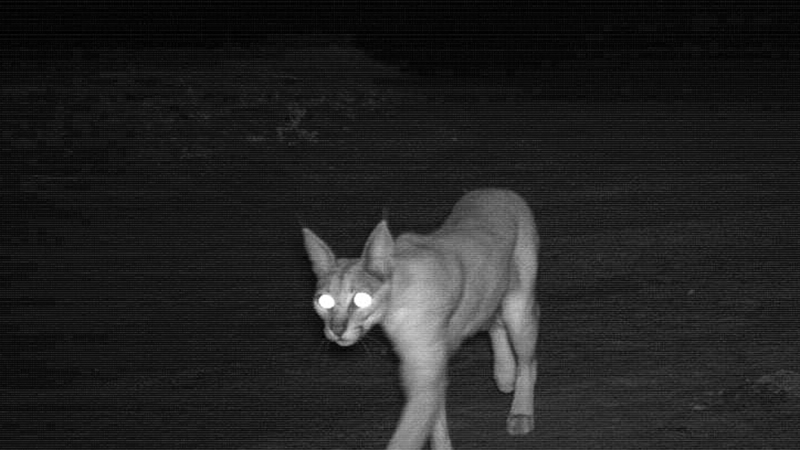 However, not all caracals have tan coats; caracals with dark coats have been spotted in Kenya and Uganda. What purpose do the caracal’s ear tufts serve? Scientists still debate the function of the ear tufts. Theories include repelling flies from their faces and camouflaging them in tall grass. 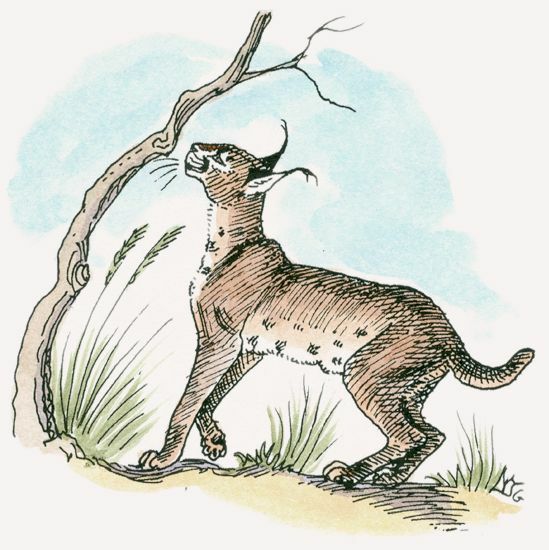 The most accepted theory is that caracals move the tufts to communicate with other caracals. Caracals live alone and mark their home ranges by spraying urine on rocks, bushes, and tree trunks. Groups form when young cubs are with their mothers or when males and females gather to mate. Caracals have well-developed middle ear structures that help them track prey. Caracals in captivity have been heard meowing, gurgling, growling, purring, spitting, hissing, and emitting a wah-wah call and loud coughing barks. When mating, they snort, growl, and spit. 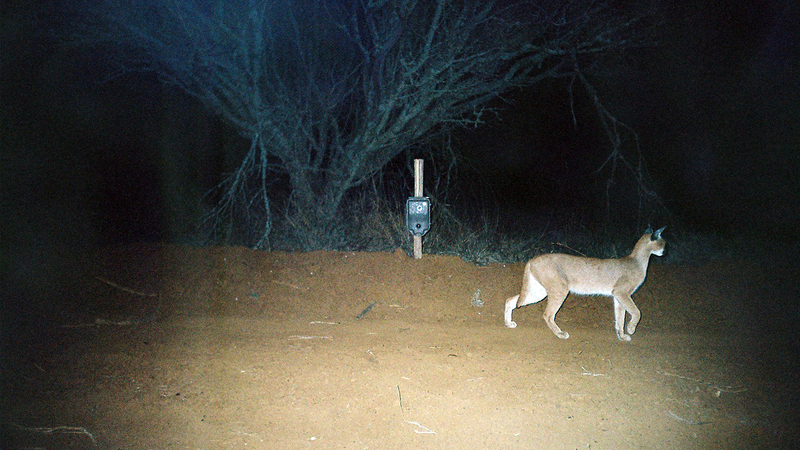 Caracals live a nocturnal lifestyle. They hunt at night and rest in a hiding place during the day. 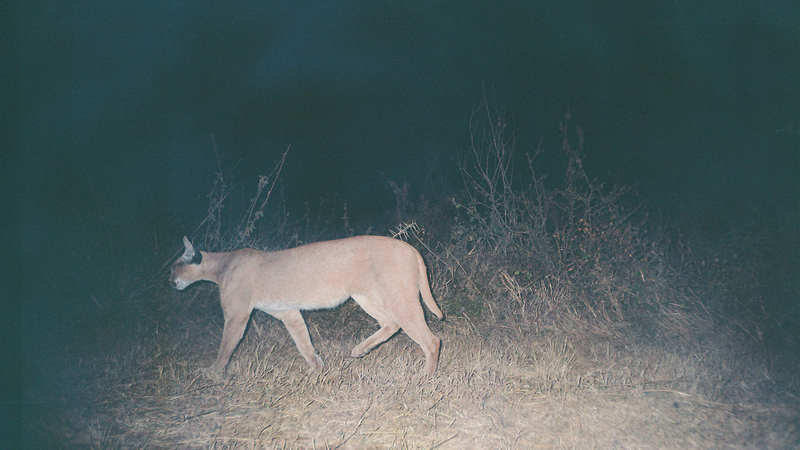 On cooler days in protected areas, caracals may hunt in the early morning and late afternoon. Caracal populations are sustainable despite being persecuted in South Africa, Namibia, Niger, and Morocco. They are most vulnerable in North Africa and West Africa. Caracals are widely distributed across Africa, except in the equatorial forest and central Sahara. Caracals also live on the Arabian Peninsula and other parts of the Middle East, Turkey, central India, Kazakhstan, and Turkmenistan. 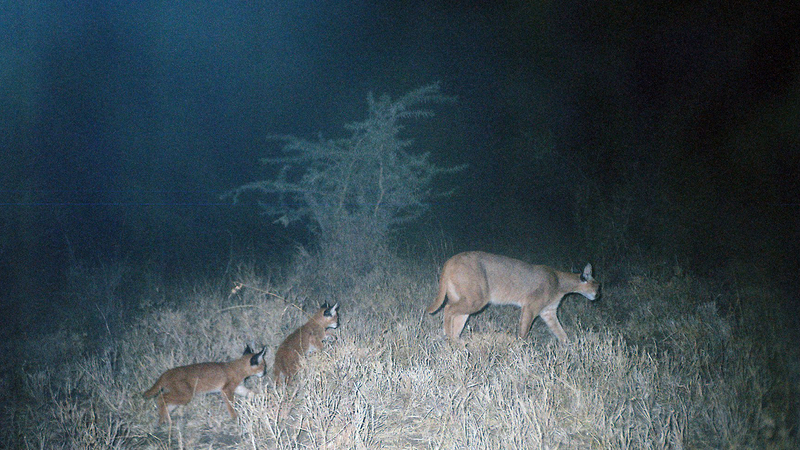 Caracals favor habitats with low rainfall and plenty of available cover. They typically frequent dry woodland and savanna regions, but they can also live in semi-desert, scrubland, moist woodland, and mountainous forest habitats. 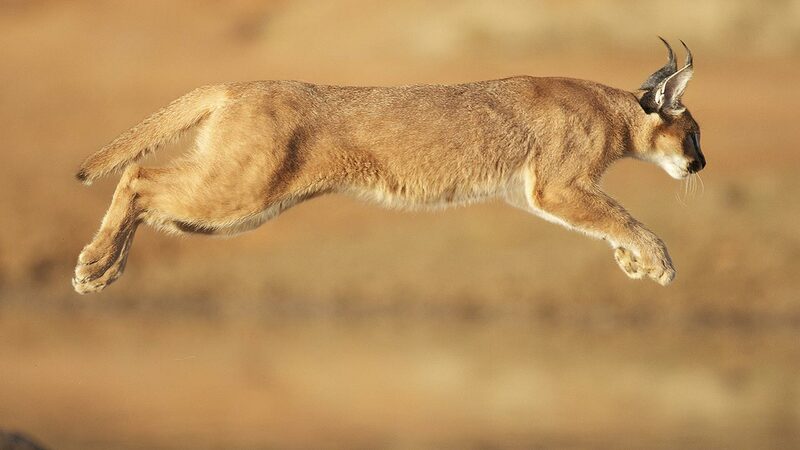 Caracals hunt alone, using sight and sound to track down prey. They subsist on small- to medium-size animals up to 110 pounds (50 kg), including rodents, birds, reptiles, invertebrates, and fish. Sometimes they even eat plants. Caracals can consume significant numbers of sheep and goats. 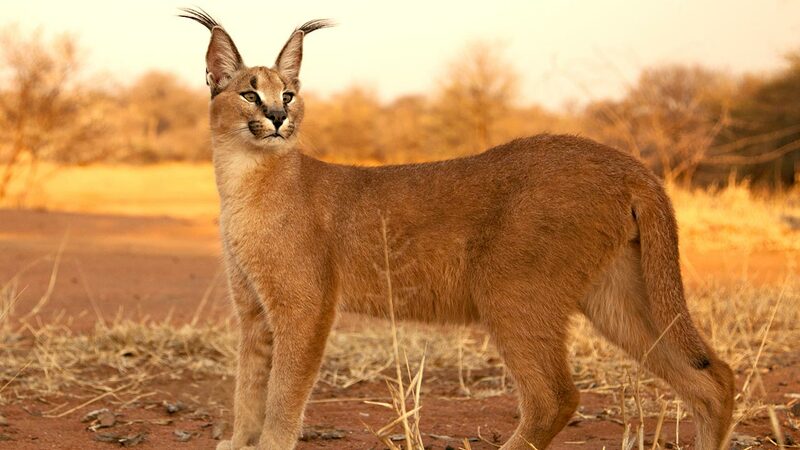 The caracal’s breeding season varies across regions, but in Kenya, they tend to breed from November to May. Following a 78- to 81-day gestation period, two cubs are born on average. Females give birth in burrows abandoned by aardvarks or porcupines. At birth, the cubs’ pointed and tufted ears lie flat against their heads. 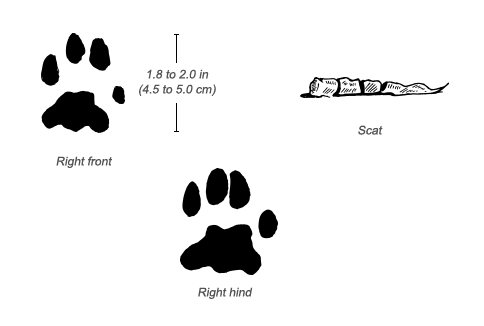 The ears begin to stand up two to four weeks after birth. Lions, leopards, cheetahs, and black-backed jackals all hunt caracals. Humans kill them, too, labeling them “problem animals” in South Africa and Namibia because of their tendency to eat goats and sheep. The populations remain sustainable despite these pressures. Caracals commonly live in national parks and other conservation areas. In South Africa and Namibia, populations are expanding and increasing despite conflicts with livestock farmers. Because of their ear tufts, caracals were once thought to be closely related to lynxes, but recent genetic analysis shows they belong in their own genus.